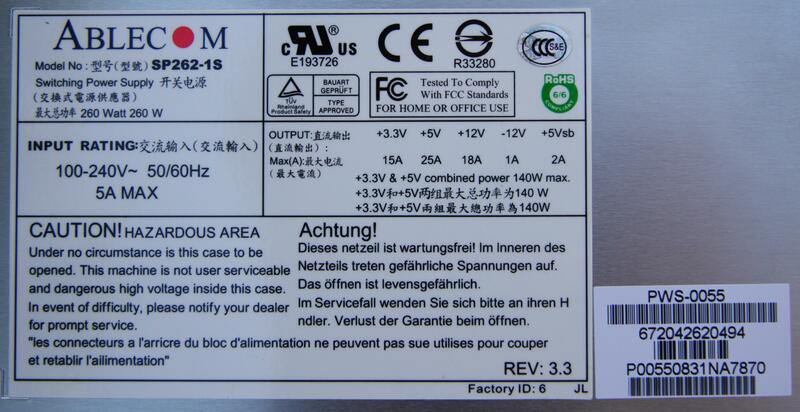 The inside of the power supply shows a single exhaust fan (i.e. no fan on the left where the air in drawn in). 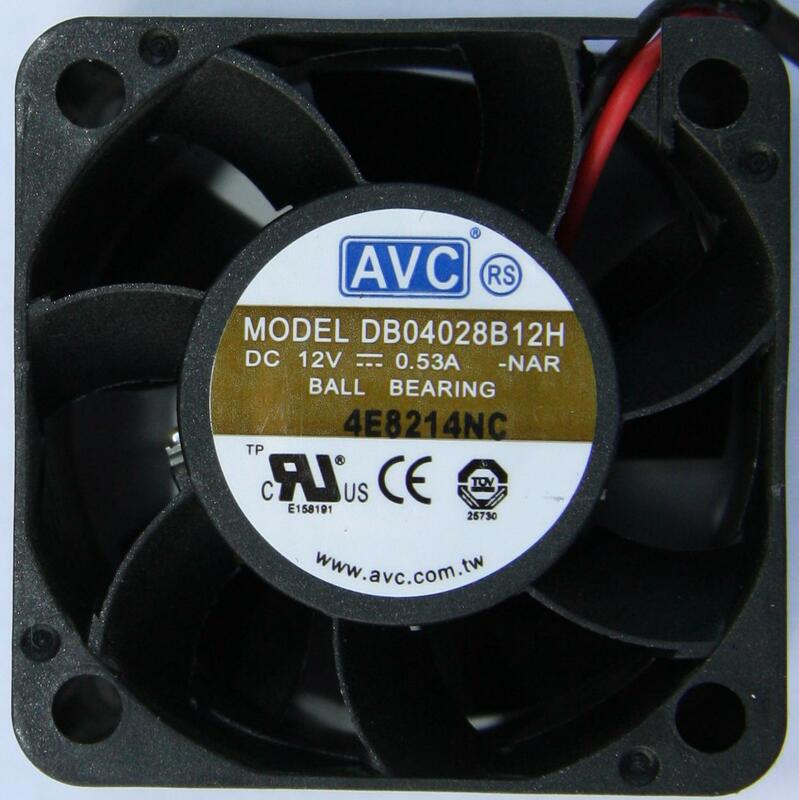 The fan is an AVC model DB04028B12H 40x40x28mm DC brushless fan. It has a two wire connection. 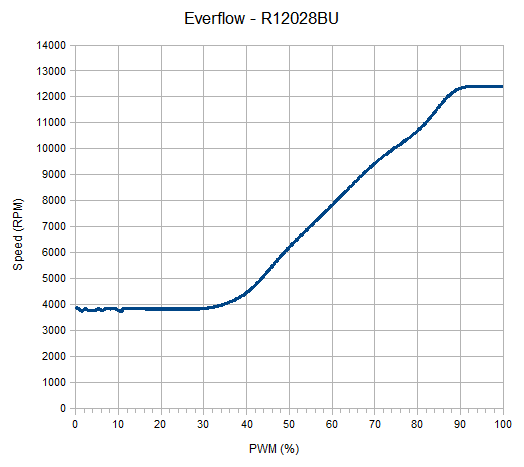 There is no PWM speed control, or tachometer output. The speed and the resulting noise are the issue that is attempting to be addressed. There is no temperature sensor to provide feedback to control the speed of the PSU fan. By reducing the 12volt DC supply to 7volts (with a 5.1volt zener diode) the fan noise is significantly reduced, but not eliminated. It is important to note that this solution doesn't incorporate any sensing of the internal PSU temperature. Care should be taken not to cause the PSU to overheat.